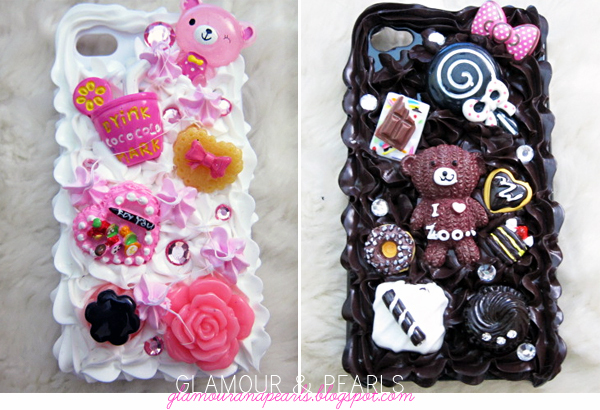 GLAMOUR & PEARLS: The Cutest iPhone Cases Ever! The Cutest iPhone Cases Ever! You guys, I'm so happy! My boyfriend got me the cutest iPhone cases ever for our 3 year anniversary (along with this insanely gorgeous bag which I showed you), and I have to say - I'm so in love with them!!! When I first opened the adorable package, I couldn't help but just squeal like a little girl! YAAAY! My inner girly girl always comes out when I spot super sweet things like this! This is my little collection right now! I just love all of them! Unfortunately I had to throw out a few, because the stones fell off, but as they say - in with the new, out with the old! super cute! I love that darling case! iPhone 8 bumper cases are out. We Make the World iPhone case that keeps up the Beauty of your Phone. Our GO ORIGINAL iPhone Cases gives keep from scratches regular. We are best iPhone 7 slim case and iPhone 7 plus slim case , thin iPhone 7 plus case ,iPhone 8 slim case and iPhone 8 plus slim case seller Company and best service provider.